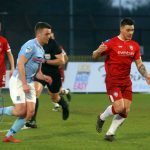 The 25-year-old heaped praise on his team-mates for upping their performance in the second-half after a bitty opening 45 minutes on Warden Street. “I think the first-half was a bit scrappy and a typical derby game,” McCauley said. “I don’t think we could have played as well as we could have in the first-half, but I still thought we weren’t in any danger. 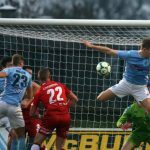 The former Institute player notched his 15th goal of the season after the break, but felt it might not have been his day after hitting the crossbar in the first-half. “I was always celebrating to be honest as I thought it was in,” McCauley added. “I cut inside and I thought I’d go for the top corner but unfortunately it hit the bar. “I said I’d keep plugging away as I’d get one and I should have scored from another chance. “For the goal, I saw Millar and lifted it to the side he wasn’t covering and it was on my right foot, so I thought I would hit it. “It did take a deflection but it’s my goal. 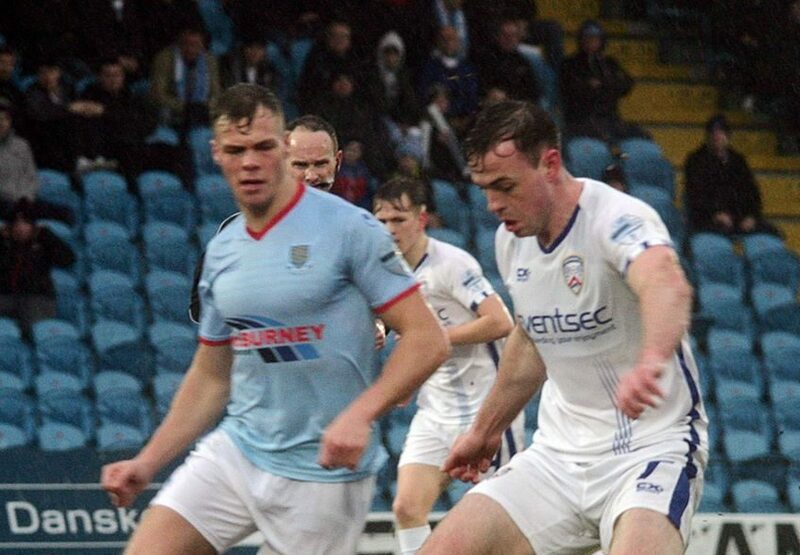 The result sees the Stripes cut the gap at the top of the Danske Bank Premiership to two points, but McCauley stresses that there will be plenty of twists and turns left in the title race. “It’s a big result for us but we are still two points behind and nothing has been won at this stage,” McCauley continued. “Crusaders are an exceptional side and we will have to perform to the best of our ability in the last seven matches. “There is a lot of football left to be played and there will be plenty of twists and turns yet. “We just need to keep plugging away, keep doing what we are doing and put in professional performances like we did today. 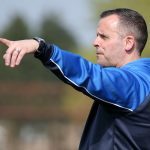 Oran Kearney’s men turn their attentions to Tuesday night’s Irish Cup tie against Glentoran and McCauley insists the squad have ‘unfinished business’ with the competition. “I can’t wait for the match on Tuesday night,” McCauley concluded. “I think with Ronnie coming in it has given Glentoran a little bit more impetus. “We have unfinished business in the Irish Cup, we didn’t perform in the final and it has left a bad taste in our mouth. “It was probably the worst experience of my footballing career and I don’t care about the occasion or suits all I care about is winning the Irish Cup.